In September, a Yelp reviewer was ordered to pay a business owner $1,000 after leaving a series of comments on Yelp and a local site, which a court found ventured beyond free speech and into defamation. Do you think the court got that decision right? Let us know what you think. Yelp has said repeatedly that it doesn’t want reviewers to be afraid to leave negative reviews, and the company seems to fear that cases like this could make them think twice. “We frequently find that a better course of action, rather than suing your customers, is publicly responding to a critical review in the same forum,” a Yelp spokesperson said in relation to that case. According to a press release, the CEA and its members shared with Congressional staff how SLAPPs were used to stifle free speech in many areas. In states without Anti-SLAPP statutes, online reviewers can face “prolonged lawsuits simply for expressing their opinion,” it says. 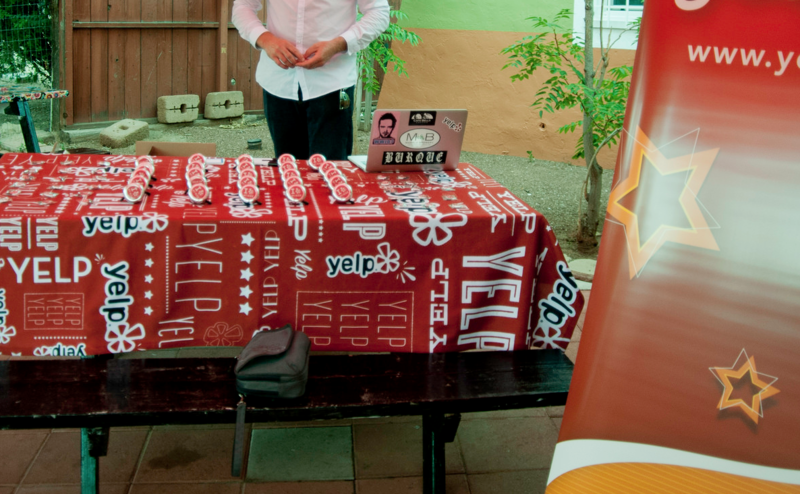 Yelp has engaged in lobbying efforts on anti-SLAPP legislation that would prevent such suits. Earlier this year, the company attacked casino mogul Steve Wynn for supporting legislation that would make it easier to sue people for bad reviews. The panel specifically championed the SPEAK FREE Act proposed by Representatives Blake Farenthold (R-TX) and Anna Eshoo (D-CA). On Wednesday, the Senate Commerce, Science, and Transportation Committee was held to discuss “How Gagging Honest Reviews Harms Consumers and the Economy” and the Consumer Review Freedom Act. Thankfully, Congress is taking an important step in protecting consumers’ right to free speech with the Consumer Review Freedom Act of 2015 (S. 2044). This bipartisan effort, introduced by Senators John Thune (R-SD), Brian Schatz (D-HI) and Jerry Moran (R-KS), would nullify any of the non-negotiable clauses that allow businesses to slap consumers with large fines for sharing their honest feedback. The protection of free speech, both offline and on, has always been, and should continue to be, a top priority of the government. We at Yelp applaud the Senate Commerce, Science, and Transportation Committee for their dedication to this issue and look forward to a long future where people can share their firsthand experiences with local businesses without facing the threat of fine or unfair retribution. This is a battle Yelp has been dealing with for years as businesses who feel they’ve been harmed by user reviews have repeatedly sought retaliation by way of lawsuit. As Yelp has repeatedly pointed out, this often results in a “Streisand Effect,” in which the business ends up getting more negative press as a result of their efforts and ultimately harms itself further. Do you agree with Yelp on this issue, or do you worry that any government action will result in negative effects? Share your thoughts in the comments.